York Entertainment installs home theatre systems, surround sound, projectors, and multi-room A/V systems for residential customers across Clermont. We can help design and install the entertainment system of your dreams! Clermont Services include Single Room and Multi-Room Sound System Installation • Cable and Satellite Installation • Projector Mounting • Projection Screen Installation (Fixed and Retractable) • LCD, LED, and Plasma Television Installation • In-Wall Concealed Cables and Wiring. 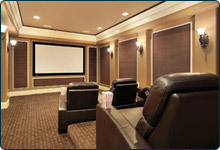 Surround Sound is an integral part of the overall entertainment experience in any home in Clermont. Whether you are listening to your favorite local artist or watching a thriller on TV, a good surround sound system will make you feel like you're right there at the concert or immersed in the movie. York Entertainment can help you achieve that immersive experience by helping you select the best option for your budget and answer all of your questions. When you are ready to select your system, we can take care of the installation from start to finish. 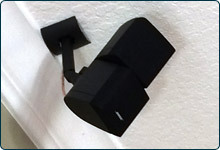 We offer many options including ceiling mounting, hidden cables, and wireless. When it comes to watching movies with friends and family in Clermont, nothing beats the immersive experience that a custom home theater system provides. We will do all of the research and present you with options from a variety of brands to help you select the most cost-effective option that will suit your needs. 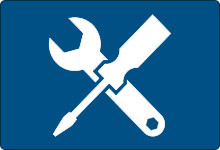 Is your surround sound system, projector, or television in need of repair or maintenance in Clermont? York Entertainment can help diagnose the problem and get it fixed quickly so that you don't miss any good movies!